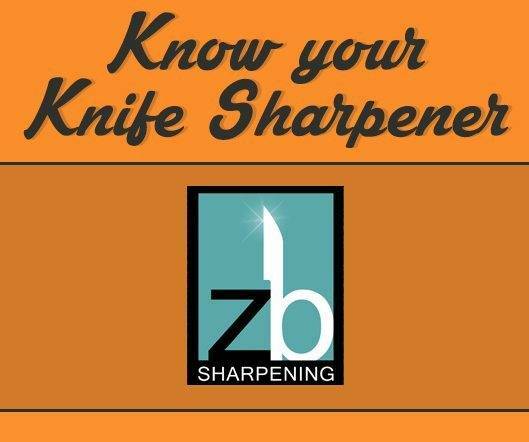 Here’s another interview from the series “Know Your Knife Sharpener” – Today we had the opportunity to ask some questions to Zig, from ZB Sharpening. 1. Can you tell us what’s the first knife that you sharpened? Not directly, but it was as a teenager working as a cook. Most places had something more than a steel. Usually a stone or 2. A few years of cooking and I do remember buying my first set of German Knives, WMF Spitzenklasse knives, that I promptly bought a Chef’s Choice Electric Sharpener to keep an edge on, albeit I didn’t do the knives justice with that machine as I didn’t really understand the fundamentals of sharpening. Those knives BTW, are still in great shape and I give them as loaners when doing complete sets ….. 25 years or so later. 2. How did you make it a business, and how long have you been doing it for? I’d say my understanding of actually how to sharpen began with a Spyderco Sharpmaker, so 20 years, but as a business I’d say around 10. 3. What’s your sharpening technique? I’ve used a variety of techniques over the years. Depending on the knife and it’s intended use, I’ll approach it in the most appropriate way. Odd knives and other items aside, the majority of work I now do is on Client’s Kitchen Knife sets. Most take well to powered equipment, and my main tool is my low RPM belt sander for shaping and fixing the Edge, and bringing the edge to an Apex. Refining the Edge and de-burring and polish can then take several directions, again depending on the intended use. The main point for me, once Apexed, is to bring up an adequate Burr, and removing that Burr while keeping the Apex keen. 4. How long did it take you to master it? Master? I’m not sure the idea of mastering ever ends. Even if you are doing a similar type of edge over and over, your understanding of it and feel for it evolves all the time. I was mulling over the fact that I use my senses much more now even when sharpening standard kitchen knives. My fingers are much more sensitive now when feeling the progression of an edge, my ears more in tune with the sound on the belt or stone, the vibration I feel when I pass the knife through something. I think after a while, you go past the tool your using to sharpen, and begin to know when the edge is where you want it to be by feel. I used to test the edge periodically to judge the progress. Now I test an entire set after I’m done. 5. What was the main challenge when you first started? Achieving that Apex with no Burr. That’s the “aha” moment. That and finally understanding when the metal is tired and to get past it, or you’ll never get that Edge to hold. 6. Do you recommend starting with cheap knives? Sure! That’s a great time to practice and learn. I teach my clients how to hone using a ceramic steel. I’ll tell them to practice on an old or cheap knife until they get comfortable with it. Learn the angle using a sharpie, raise a burr, take it off. Listen how it sounds at different angles and where the sharpie is coming off. 7. What do you think is the most common mistake beginner knife sharpeners make? Not realizing that each knife has its own angle and just sticking to 1 angle, or worse, using a pull through on every type of knife. 8. 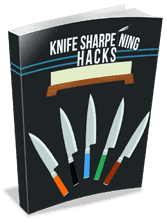 Are you improving your sharpening technique today? Yep. 1 Knife at a time. 9. What’s the most expensive blade you’ve ever sharpened? Aside some in my own collection which don’t count, none in particular stand out. I’ve done all types over the years, including customs. I don’t usually ask the cost. Now I primarily do mid to high end kitchen knives, including Japanese knives. All types can be in the mix, and every once in a while some knives I haven’t handled before show up that are interesting. I usually look them up on the internet and am surprised by the cost, but am more interested in what the original angle was, especially asymmetrical ones, and treat them accordingly. 10. Which knives you don’t like to sharpen? Mall Ninja knives that will never hold an edge, no matter how much the owner says he paid for it.